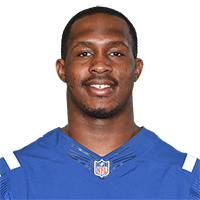 Indianapolis Colts quarterback Phillip Walker finds Indianapolis Colts tight end Cobi Hamilton for a 28-yard touchdown pass with a minute left in the game. Published: Aug. 30, 2018 at 10:24 p.m. Published: Aug. 30, 2018 at 10:08 p.m.
Indianapolis Colts quarterback Phillip Walker finds Indianapolis Colts tight end Erik Swoope for a 7-yard touchdown pass. Published: Aug. 20, 2018 at 11:17 p.m.
Indianapolis Colts quarterback Philip Walker throws a fade route touchdown pass to wide receiver Zach Pascal.